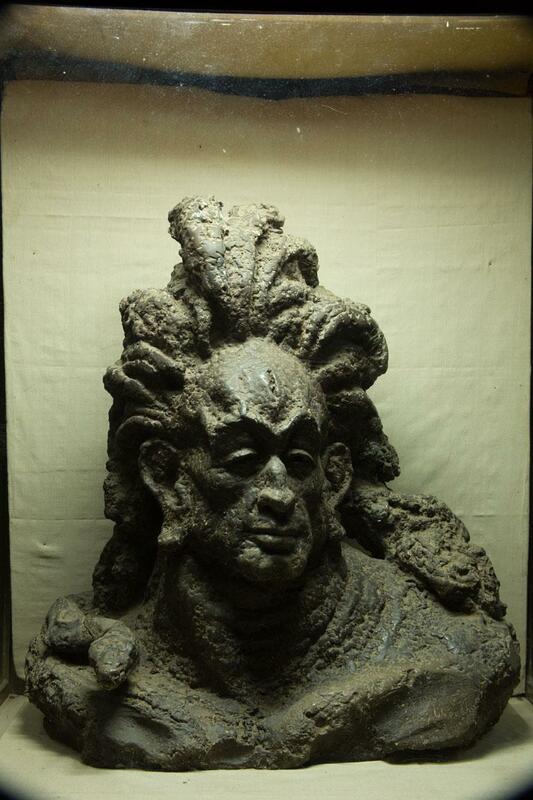 A marvelous Lord Shiva sculpture done by the sculptor Devi Prasad Roy Chowdari. Here Lord Shiva is pictured as the “God of Destruction”. The third eye is open in this sculpture. This concrete structure is made of a mix of Plaster of Paris and concrete.